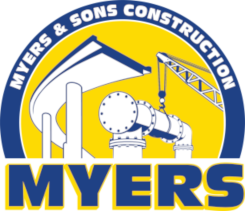 Myers and Sons Construction was been awarded two subcontracts to work on the Pulaski Skyway by China Construction America (CCA). These contracts are two seasons long and Myers and Sons Construction will place a Polyester Concrete Overlay on the Pulaski Bridge. Myers and Sons Construction is very excited to return to the East Coast and work on such a famous bridge.